GI Joe is launched on a solo mission to the moon. As he attempts a space walk his tether cord breaks loose. Does he have the ingenuity to escape oblivion? 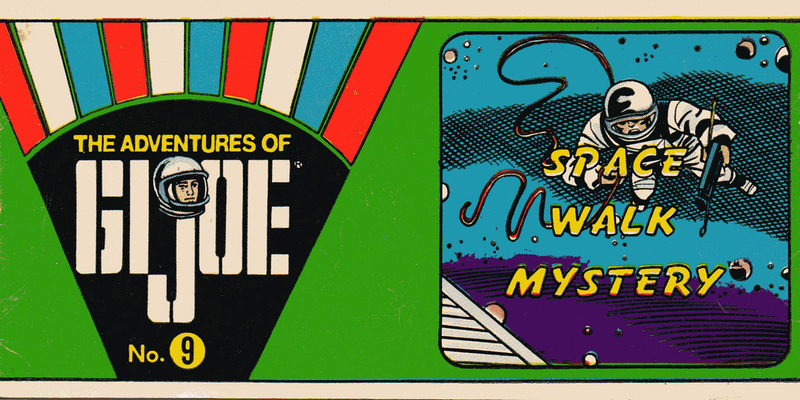 Spacewalk Mystery (7981) provided a twist on the previously issued space capsule: a glow-in-the-dark back panel. 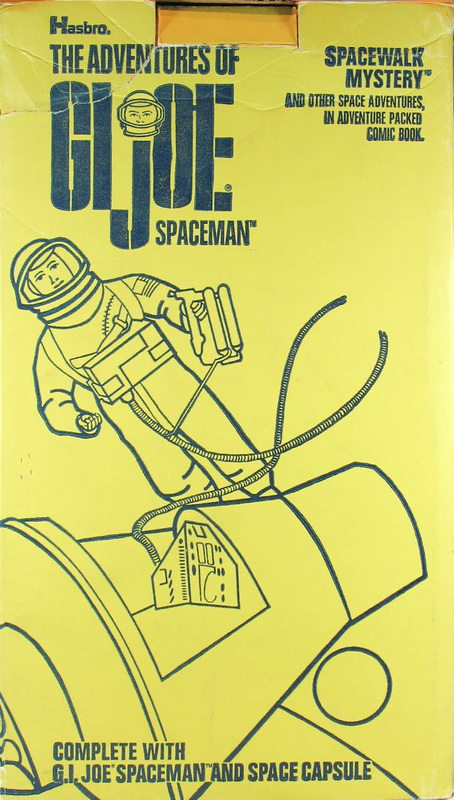 Note the change to the space suit from the earlier version: the zipper on the chest has disappeared. 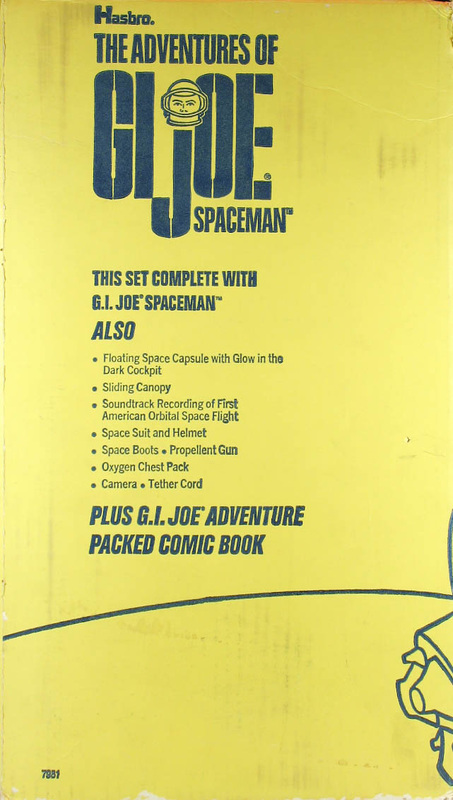 The set is sometimes found with the two-zipper version of the suit. 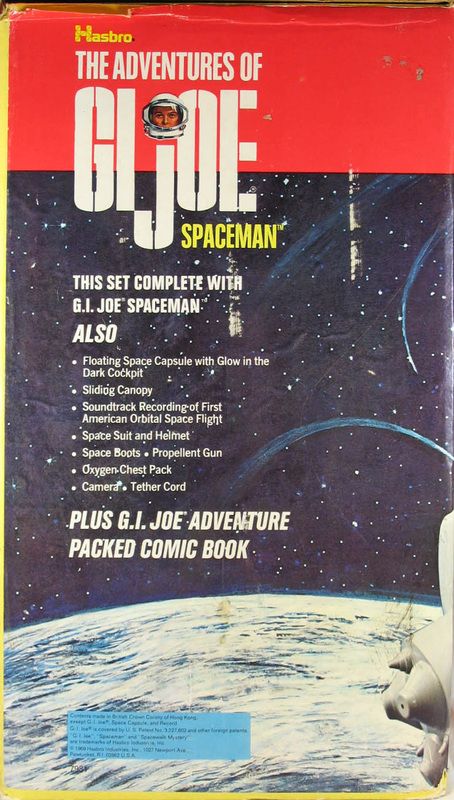 Gloves were not included, which was the real mystery: how did Joe survive in space without them? The box litho (above) and line art (below). Some sets sold through the Sears catalog had only the line art on the box. 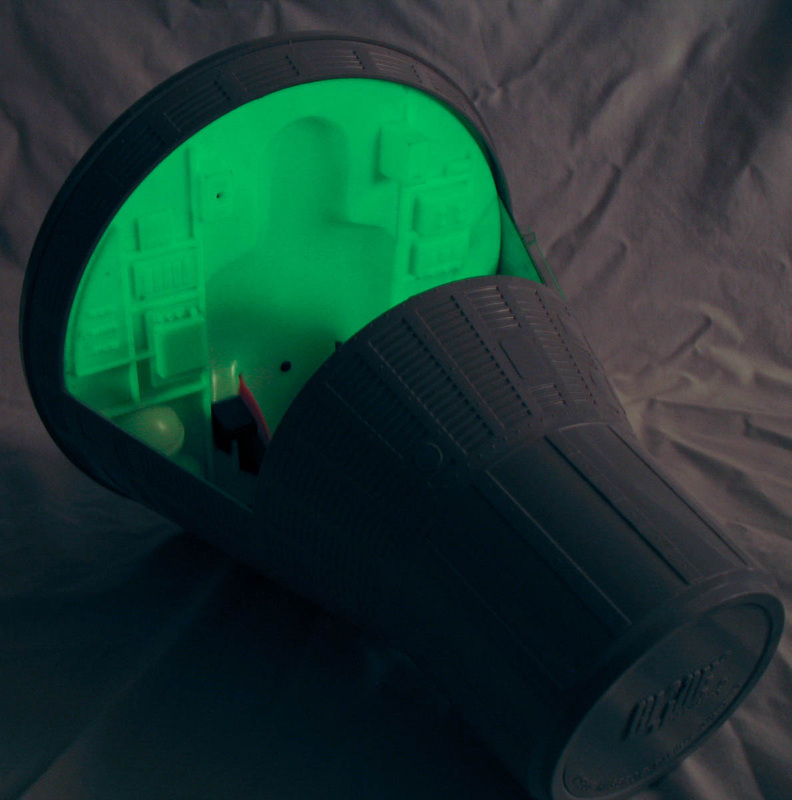 The glowing back of the capsule (above). 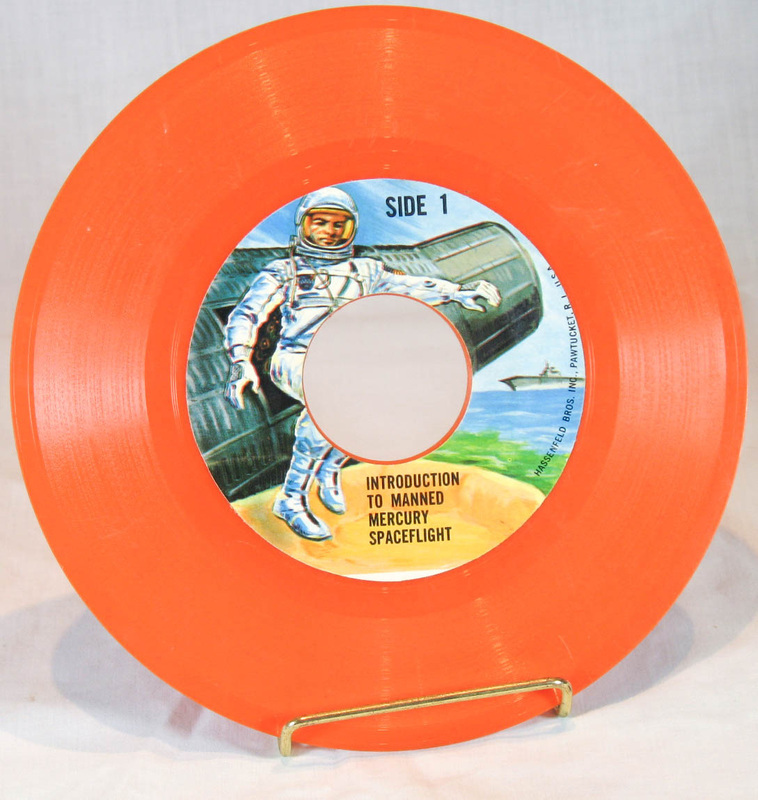 The record included in the set is usually black vinyl, an orange version is shown left. The box art was also used on the lid of the Astro Locker (below).